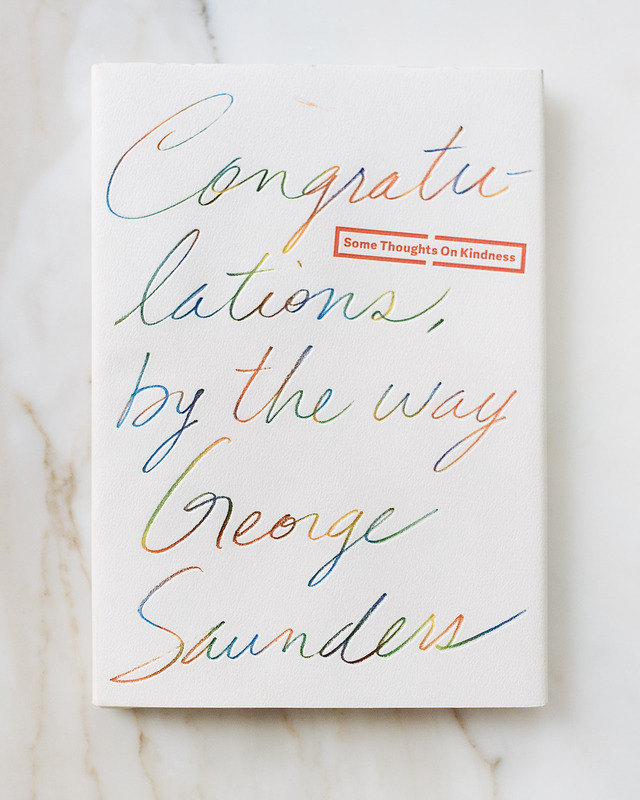 Although I have it on my book shelf, I just bought yet another copy of Congratulations, by the way, a small and wonderful book by American writer George Saunders. Why? Because it is the perfect book to give away. It looks nice, and feels nice on your hands. It is the type of book you read at once and feel instantly uplifted. A promise of the contents “Some Thoughts On Kindness”, is stamped on the cover and that is what the book is all about. Before Congratulations, by the way was a book, it was a speech. Three months after George Saunders gave a convocation speech at Syracuse University, a transcript of the speech was posted on the website of The New York Times. Within days, it got more than a million shares, which tells something about the power of his words. Saunders is an original writer and his simple message speaks to us all. You and I both want to lead a meaningful and kind life. If you ever need a reminder of that, or inspiration to find that path of kindness and clarity again, reading these words will help. The book is available in Adlibris and Amazon, but you can also read the transcript online on The New York Times.